It was a tough night for Tanner and Eugenie; they failed to predict the key awards, and had to listen to me crow about Argo‘s Best Picture win. We were all glad to see Life of Pi pick up some gold, especially Tanner who loves all movies featuring 4-legged creatures. 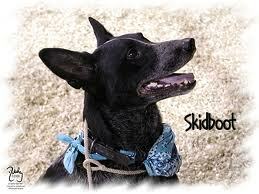 In keeping with the Awards, check out this video on ‘Skidboot’, a cattle dog who takes the ‘BEST PERFORMANCE BY A LEADING DOG’ hands down. Tanner was quick to point out that he’s much cuter and that he could learn all those commands and tricks, but being a terrier (American Staffordshire) he simply doesn’t want to. Hmm.